Ford is one of many traditional auto manufacturers that’s exploring the use of autonomous and EV technology in their cars and trucks. And while some drivers may be asking when their self-driving, electric Ford will be ready to buy, in the meantime, they can at least have a pizza delivered by an autonomous Ford Fusion Hybrid. 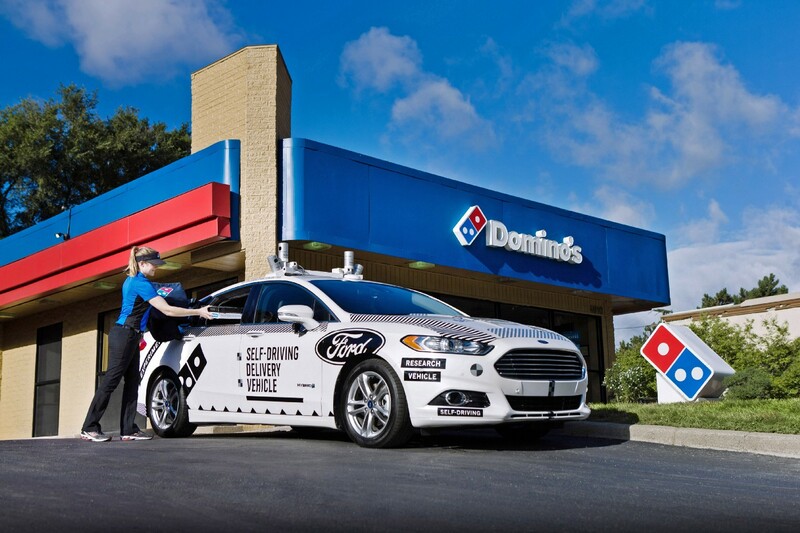 Through a collaboration with Domino’s Pizza, Ford is launching a research project that will deliver pizza orders to randomly selected customers in Ann Arbor, Michigan. In the process, Ford, along with Domino’s, hopes to gain deeper insight into how automation will affect customer experiences and how businesses conduct their services. While Domino’s customers will still receive the same menu items to which they are accustom to, the autonomous delivery will require that they walk out to the vehicle to retrieve their order instead of receiving it from a delivery person. While it may sound as though some of the convenience of delivery will be lost in the process, Ford wants to observe how customers respond to and interact with the automated delivery vehicle. What they learn from early responses may determine the protocol for what works—and doesn’t work—in future self-driving endeavors. In Ford’s own words recently published on Medium, the company emphasized automated transportation’s potential role in the growth of restaurant delivery services. As Domino’s has leveraged different types of technology in delivering more than a billion pizzas annually, this specific brand will likely provide fertile ground for seeing how self-driving vehicles perform in a high demand delivery environment. Ford also specified that there are a lot of questions to be answered in this approach, including how customers will be notified when their order has arrived, and whether the vehicle will park in the driveway or if customers are willing to walk to a curb. What are your thoughts on this researched based collaboration between Domino’s and Ford? Are you eager to see the results? Let us know what you think in the comments.